The exchange of pins became a tradition during past editions of the Olympic Games. 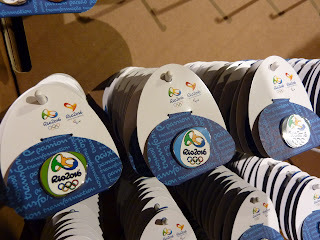 As years went by, many sports fans worldwide began collecting pins from all countries that participate in the Olympics. The Rio 2016™ customised pins are on sale at Casa Brasil. Don't leave London without yours! How can I obtain one from here in Chicago?